This multi award winning powerful glass cleaner removes grease, oil, traffic film, tobacco film, bug splats, wax and silicone from all interior and exterior glass. After Quick Glass has cleaned glass, it evaporates away leaving absolutely no residue. 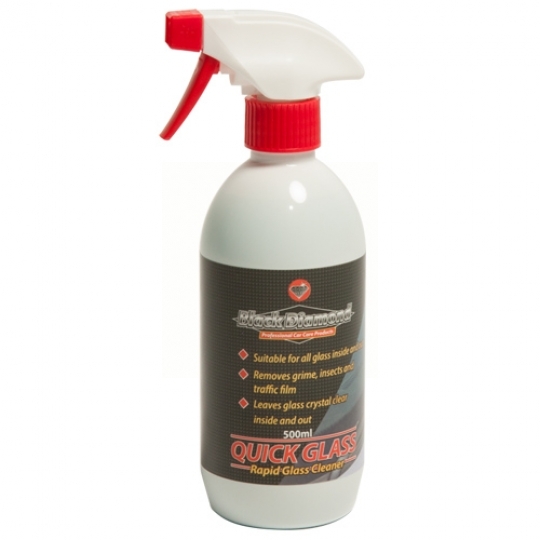 This means unlike some inferior products, Quick Glass leaves no smears and is very fast and easy to use. Simply spray on and buff with a clean, lint free or microfibre cloth until dry.